After we got engaged, the Fiance and I started talking about what type of Wedding Party we wanted to have. Did we want to keep it small, keep it to just Family, or not have a Wedding Party at all? I've known 5 of my best Girlfriends since elementary school and I have one Sister and Steve has two. We came to the conclusion that having our Best Friends and closest Family standing next to us on our Wedding Day was ultimately what we wanted. I knew I wanted to think of a unique way to ask my girls to stand by my side and not "propose" to them by giving them a Blue Raspberry Ring Pop that costs $1. Don't get me wrong, if someone handed me a Ring Pop right now I would 100% eat the 'ish out of it. "Be My Bridesmaid" in the scent "Wedding Day"
Not pictured: "Be My Maid of Honor" Candle, because my Sister lives in a different State! You have to call Yankee Candle directly to place your customized order. 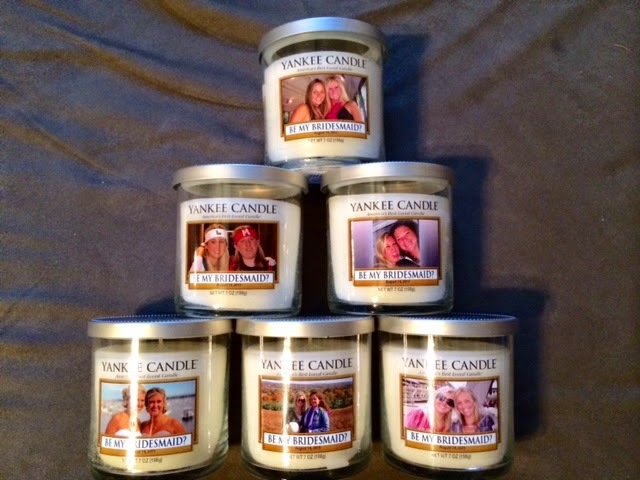 Depending on the size candle that you order, the prices range anywhere from $21 to $35 a piece. 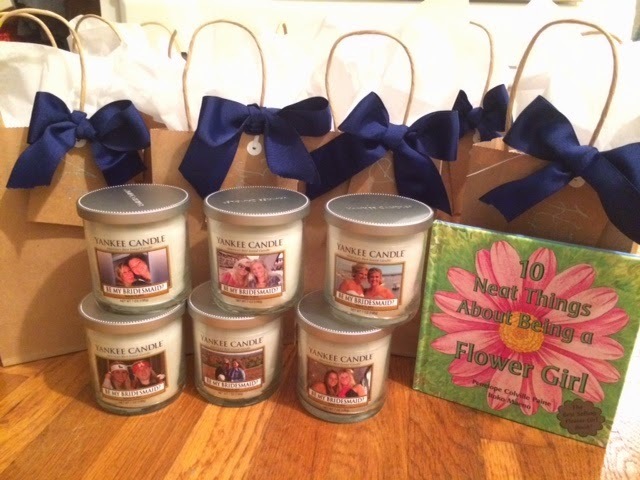 Don't be afraid to shower your Bridesmaids with love and nice gifts!